Skunk2 Pro-Series Composite Intake Manifold - Dezod Motorsports Inc - Home of the automotive performance enthusiast since 2002. Skunk2’s new composite Intake Manifold is made using a proprietary casting process, from a carbon reinforced aerospace hermo-polymer composite that is 33% lighter, 60% stronger, and runs up to 100ºF cooler than aluminum. Keeping the air results in a significant increase in horsepower and torque. 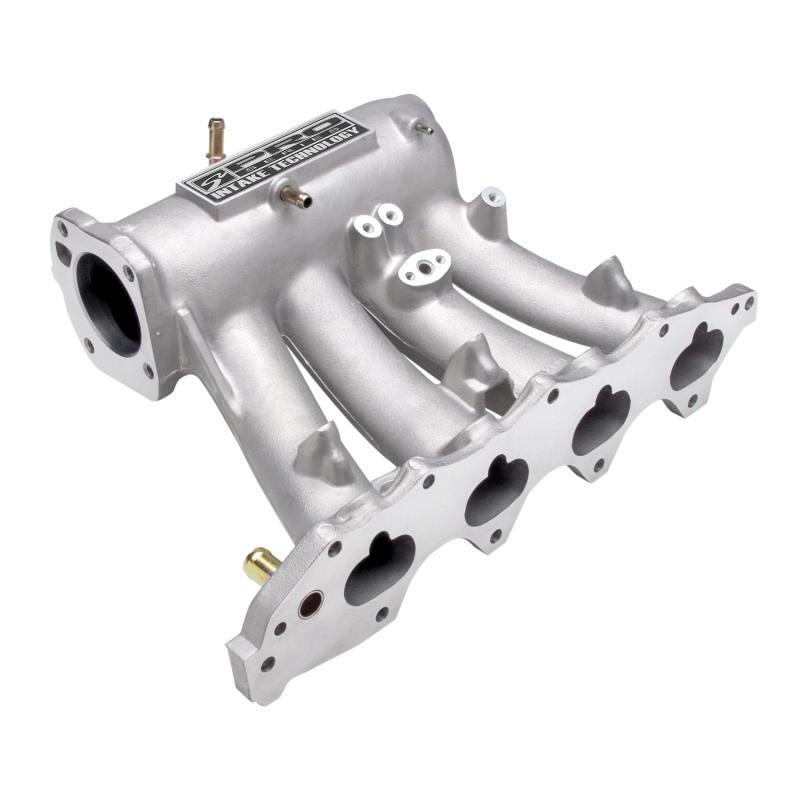 Skunk2 composite intake manifolds are superior to even the best ported aluminum manifolds on the market. Skunk2 manifolds feature High-Velocity Balanced Runners for unparalleled power. Each manifold is designed using the latest in 3D modeling and CFD simulation software, and then verified on the dyno to guarantee maximum torque and horsepower. Using a patented process, which eliminates core shift and internal stresses, Skunk2 is able to cast parts within a dimensional tolerance of +/-0.003”; in other words, Skunk2’s “as cast” runners are more accurate than CNC ported manifolds. To further enhance air flow and fuel distribution, Skunk2 can cast-in varying surface finishes, from glass smooth to golf-ball dimple rough, all within the same runner.